Last year dTest launched a campaign against unreasonably high fees for arranging loans for used cars. Home Credit, which is one of the providers of such loans now suing your client and recovered after inter alia fee of almost 140,000 crowns. The clinic dtest was addressed by Mrs Iveta, who bought a used car dealer AAA Auto in passenger car and partially funded by a loan from the company Home Credit. 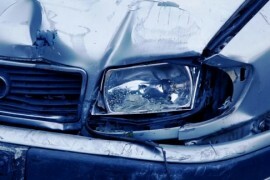 "Car was destroyed after three days in a car crash and Home Credit now requires not only additional payment of the purchase price, but also almost stočtyřicetitisícový commitment fee and 50,000 for the early repayment of a client suing, "describes the situation Miloš gin, legal adviser dtest and adds:" auto insurance covered the cost of the car. The loan was, however, when buying artificially increased the obscenely high costs of negotiation, which now has a client Home Credit's paid in full. " The amount of the "fee" is absolutely stunning, dTest therefore examined specifically what is behind it. "On our call of September 2013 Home Credit replied that covers the particular commission fee for credit intermediaries, which is a bazaar. The same is also confirmed by Essox, which also provides similar loans, "says Miloš gin and states:" Another item that Home Credit required in the bill is named as a marketing event and is charged in case of early repayment, precisely as in the case insured events such as Mrs. Iveta. The fee to perform the actual fines that seems to prevent the client in the early repayment of credit, which is otherwise entitled under the Act. " In the present dispute is resolved by the District Court for Prague 8, to which Home Credit filed a lawsuit. "Home Credit's requirements are, in our opinion, really naughty. Defendants are advised how to file a protest and what arguments to use. I firmly believe that with our help client succeed, "informs Miloš gin.